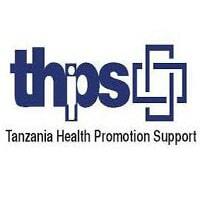 To provide technical support to clinical staffing for provision of multidisciplinary familyfocused HIV/AIDS prevention, care and treatment services at THPS supported facilities. This entails HIV counseling and testing at all entry points including, Provider Initiated testing and Counseling (PITC), enrollment of adults and adolescents living with HIV into care and antiretroviral treatment (ART); enhancing retention and minimizing lost to follow up (LTFU), effective adherence and psychosocial support, implementation of collaborative TB/HIV activities, efficient management of commodities and ongoing mentorship and supportive supervision. S/He will work with the PMTCT/Pediatrics technical advisor to ensure that health care providers are well equipped with skills to appropriately manage infants, children and adolescents living with HIV according to national and international standards.  To provide direct technical assistance to the staff at THPS supported health care facilities; onsite staff capacity building on HIV/AIDS clinical management , clinical mentoring, patient flow analysis, improvement of adherence support systems, strengthen of referral systems, etc.  To assist the Pwani Regional Manager to develop Annual regional work plan and to review its implementation.  To assist the Pwani Regional Manager in the development of monthly and quarterly reports.